Could Dirty Grease Traps Be the Cause of Deadly Houston Restaurant Fire? Four Houston firefighters died fighting a restaurant fire last week in what has been called the deadliest blaze in their department’s 118-year history. Although the exact cause of the fire is still under investigation, officials believe that the blaze began as a small kitchen fire in the Bhojan Restaurant, which was attached to the Southwest Inn. Shortly after noon on May 31, a restaurant employee ran into the hotel and began telling employees and guests to evacuate. By the time the fire department arrived, the flames had already spread to the hotel, and less than 15 minutes later firefighters were dealing with a “mayday” scenario. Believing there might still be civilians inside the hotel, firefighters courageously entered the building. Soon afterwards, the roof and one wall suffered a sudden and catastrophic collapse, resulting in the tragic deaths of four firefighters and injuries to 13 others. The Bhojan Restaurant had a history of safety violations, including a recent citation for failing to properly clean grease traps, which was given by city officials in March. Could dirty grease traps have caused this fire? 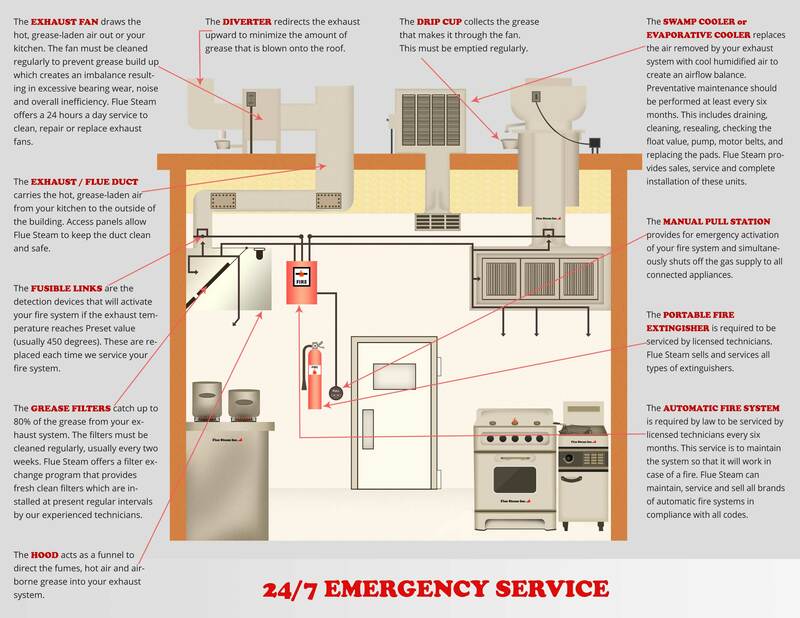 While officials don’t have all the facts yet, the truth is that dirty grease traps, grease filters, and kitchen exhaust systems can pose a serious fire hazard. All that grease serves as fuel for fires that can ignite inside the exhaust system, where they are extremely difficult to put out and have the potential to spread to other parts of the building. Pair a kitchen blaze with other factors like an older or structurally unsound building, and you have a recipe for disaster. Restaurant owners and operators can avoid fires in their kitchens by taking proper precautions in accordance with the requirements set up by state and city fire safety codes. Normally, these requirements include getting regular cleanings for grease filters, exhaust hoods, and exhaust systems, as well as installing an automatic fire suppression system and making sure portable fire extinguishers are kept fully charged and easily accessible. An experienced commercial kitchen air control and fire suppression specialist like Flue Steam could definitely have helped Bhojan Restaurant keep up with grease removal requirements and reduce their overall risk of kitchen fires. Flue Steam’s services are very cost-effective, especially compared to the alternative – any number of lives lost or injuries sustained in a fire is too high a price to pay. 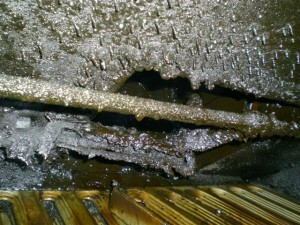 It’s not worth saving a few bucks by skimping on your exhaust system cleanings when the consequences could be so dire. Improve your restaurant kitchen safety with steam cleaning services from Flue Steam Inc.